Comity is puzzling over one of life’s mysteries: why are people racist? Since her mum died of snakebite, Aboriginal yard boy Fred has been her only friend. Yet her father’s new assistant plays terribly cruel games with him. A dangerous fight for justice in the remote outback: dust, fierce heat, friendship, secrets and courage. This is kind of like an Aussie Holes, with an equally creepy villain and truly stellar writing. Plus, how can you argue with a first line like ‘The piano arrived too late to stop the sky falling in’? 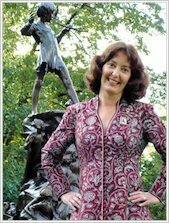 Geraldine McCaughrean was born and educated in Enfield, North London, the third and youngest child of a fireman and a teacher. She attended Christ Church College of Education but instead of teaching chose to work for a magazine publishing house. Her favourite assignments included the best-selling children’s partworks Storyteller and Little Storyteller. Only in 1988 did she become a full-time writer. 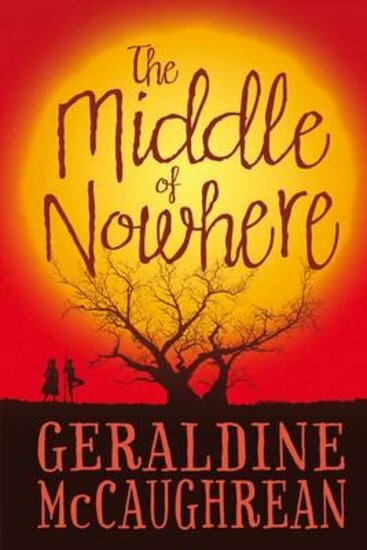 Since then, Geraldine has established herself as one of the most exciting children’s writer’s today. She often visits nearby schools to talk about being a writer and play story-making games, and, of course, to find out what the really important people – the readers – are thinking. In 2004, the Great Ormond Street Hospital trustees launched the search for an author to write the sequel to J.M. Barrie’s classic children’s novel Peter Pan. Geraldine was chosen from over 200 applicants, and Peter Pan in Scarlet became a bestseller in 2006. Geraldine and her husband John live in Berkshire and have one teenage daughter, Ailsa. In all, Geraldine has written over 140 books, mostly for children, as well as plays and poetry, and has been published in 25 languages.